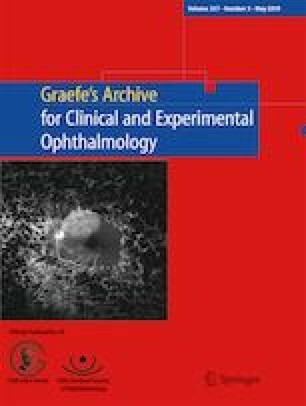 To evaluate the clinical characteristics of pachydrusen in central serous chorioretinopathy (CSC) and investigate the relationship between choroidal circulation and pachydrusen. In a retrospective case series of 302 eyes of 151 patients with treatment-naïve CSC, we assessed the incidence of pachydrusen and their features on indocyanine green angiography (ICGA) and optical coherence tomography (OCT). Pachydrusen were observed in 82 of the 302 eyes (27.2%). The patients with pachydrusen were significantly older than those without pachydrusen. In 36 of the 82 eyes with pachydrusen, the choriocapillaris perfusion phase of ICGA was recorded. Pachydrusen were localized within the geographic filling delay of the choriocapillaris in 26 of the 36 eyes (72.2%). In the late phase of ICGA, pachydrusen corresponded to punctate hyperfluorescent spots in 69 of the 82 eyes (84.1%) and localized within sites of choroidal vascular hyperpermeability in 45 eyes (54.9%). En face OCT revealed pachydrusen to be localized over the dilated outer choroidal vessels in 70 of the 82 eyes (85.4%). B-mode OCT showed pachydrusen under the retinal pigment epithelium (RPE) in 72 of the 82 eyes (87.8%). There was no significant difference in central choroidal thickness between eyes with and without pachydrusen. Pachydrusen in patients with CSC were frequently localized within the choriocapillaris filling delay and over the dilated outer choroidal vessels. Moreover, they were frequently observed under the RPE and corresponded to punctate hyperfluorescent spots on ICGA. These findings suggest that inner choroidal circulation impairment due to dilatation of outer choroidal vessels might induce pachydrusen. Involved in design and conduct of the study (H.M., R.M. ); collection of the data (H.M., M.M., S.T. ); management (H.M.); analysis (H.M., R.M. ); interpretation (H.M.); preparation of article (H.M.); review and approval of the manuscript (R.M., K.S., H.A.). All authors certify that they have no affiliations with or involvement in any organization or entity with any financial interest (such as honoraria; educational grants; participation in speakers’ bureaus; membership, employment, consultancies, stock ownership, or other equity interest; and expert testimony or patent-licensing arrangements), or non-financial interest (such as personal or professional relationships, affiliations, knowledge or beliefs) in the subject matter or materials discussed in this manuscript. All procedures performed in studies involving human participants were in accordance with the ethical standards of the institutional and/or national research committee and with the 1964 Helsinki declaration and its later amendments or comparable ethical standards. For this type of study formal consent is not required.